The suspension armis made of 2.2mm carbon graphite that provide better strength to have anaccurate steering and better car response. The Rebounce Membrane isan innovative design that provide the rebounce force when in the steering, inother words, it will make the car more quick response to have a turn and backto straight when in steering that let the car to be more stable. 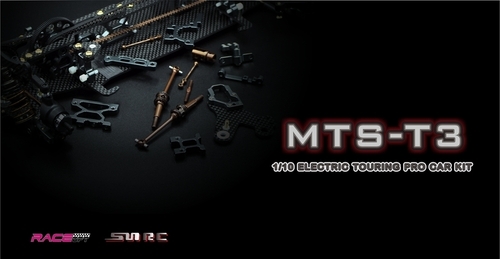 T3 suspension system can use different lower arm dampingglue and pre-tightening meson to adjust the damping force. Damping glue has twospecifications: 8x7.5x3 and 8x9x3. Pre-tightening meson has threespecifications: 0.4, 0.2 and 0. Six different collocations are used to adapt tothe operation environment of different grip force. 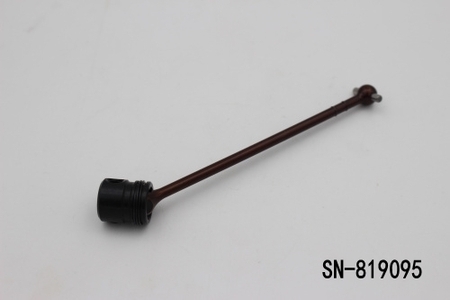 The new kind ofAnti-Roll Bar Lever Shaft is made of S2 spring steel material that providebetter strength and is installed lower in the chassis in turn to lower thechassis gravity and reduce the car traction rolling for better stability. Ithas 4 kind of thickness to be chosen(1.4,1.6,1.8 and 2.0) at front and rear side. The Reduce AirShock (RAS) damper is made up of T061 T6 Aluminium material which is harder instrength and with coating inside to increase the smoothness in piston movement. With innovativeDouble 2nd desk and center mount design to change the chassistwisting force through different screw installed combination to adapt differentkind of track traction and layout conditions. The battery isinstalled and fixed by 2pcs Carbon graphite battery holder plate and itslocation can be adjusted to front or rear through 4pcs nylon screws. 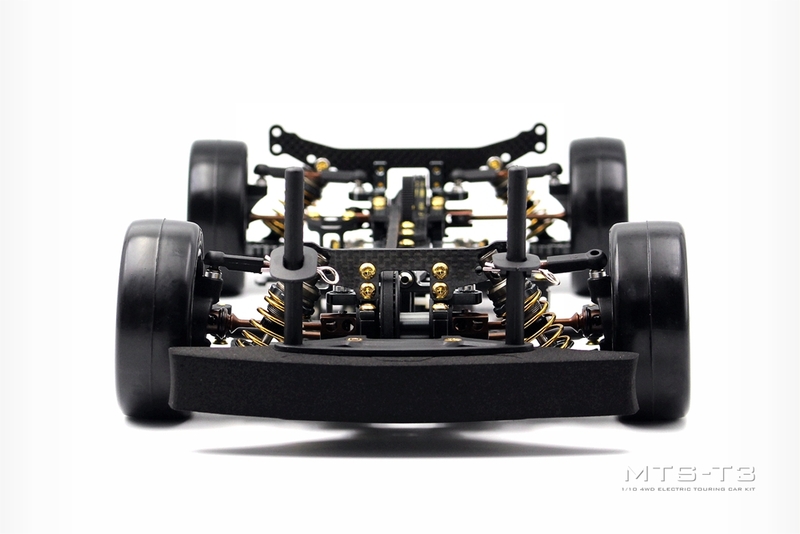 Throughthe battery movement on the chassis can vary the front and rear weight to adaptdifferent layout conditions. The battery topmounted plate is made of 2.2mm Carbon graphite that can be adjusted up and downthrough different collars thickness. For 25mm battery thickenss, 1pc 1mm collaris installed. For 23.8mm battery thickness, 1pc 2.2mm collar is installed. 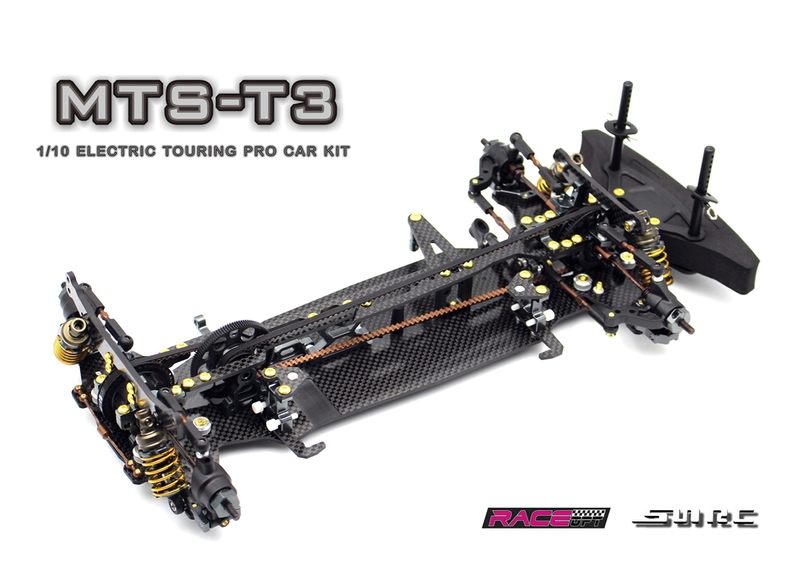 T3 uses the mid arm swinging steering developed by SN-RCteam. The middle swing arm structure ensures that the body balance is notdisturbed by the axle effect caused by steering and improves the vehiclestability. 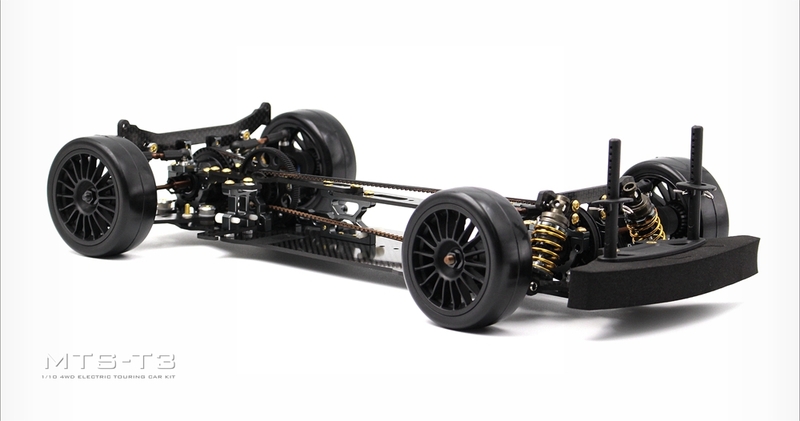 The special designed steering swing arm makes the steering angle ofthe left and right wheels vary with the steering angle, and perfectly fits thesteering radius of the inner and outer wheels, so the steering directivity isbetter. The steering arm and the directional link can be adjusted by 0 degrees~4 degrees by means of pons. The chassishardness can be adjusted through different screw holes between 2nddesk and servo mount holder. The steering block is hold by the aluminum joint throughbearing (4pcs 5x5x2.5F) without the need of C-hub that leadto have more accurate caster and can correct the steering block to straightvery quickly after a turn. The rear wheel angle can be adjusted by changing the screwhole position of the rear lower arm aluminium base. The adjustable range is1.5-2.5 degrees. The adjustment is simple and fast. 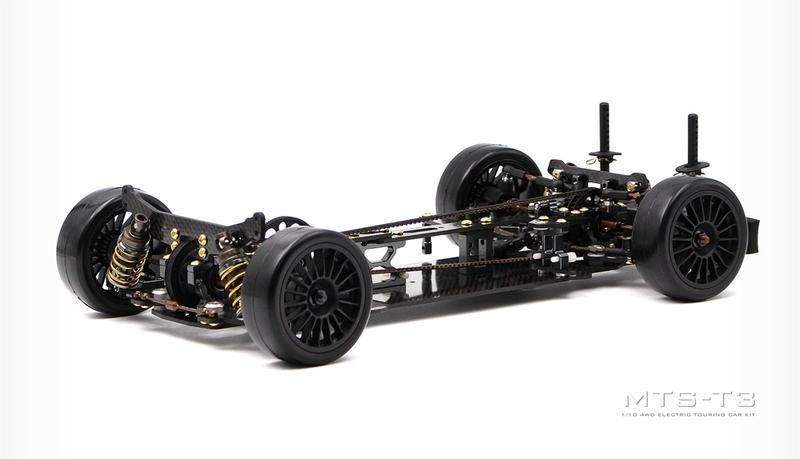 The lower front and rear shock tower is worked with the short RASdamper to increase the chassis steering response steering. 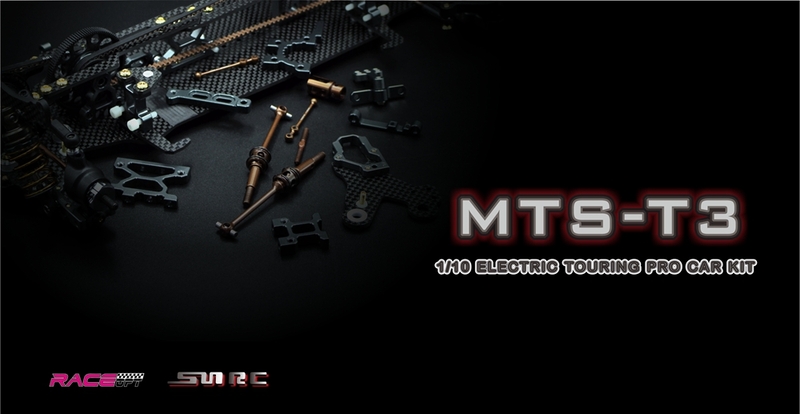 Besides, it makesthe car be more stable and can’t be flipped up easily under high tractiontrack. The motor mount canbe moved inside or outside through max 2mm collar in turn to adjust the motorgravity in or out with max 2mm on the car chassis. The car come withgrade 10.9 golden color alloy steel screw withtitanium coating which have better appearance. It is a beltdrivecar come with low friction belt. 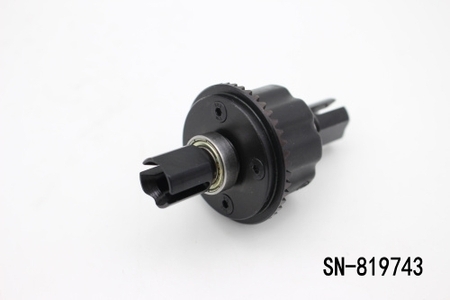 At front it comes with universal drive shaftand front solid spool. 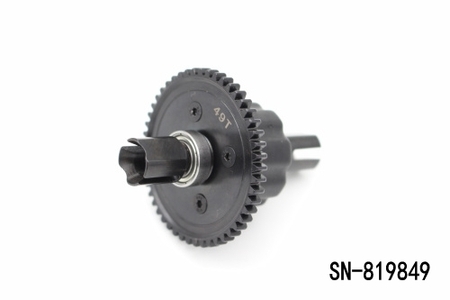 At rear, it comes with gear differential and CVD thatall are made of spring steel material with better strength. Besides, for allthe camber link ball joints plastics are low friction with smooth movement. 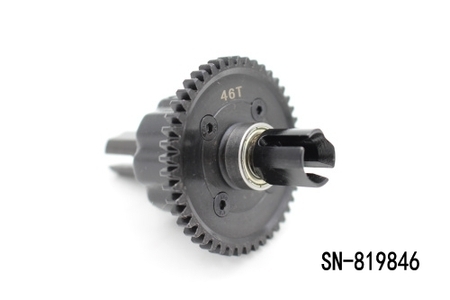 All the metal parts used in T3 truck are made of 6061T6aluminium alloy by CNC with high precision, and the surface is GUN-COLORED andanodized. 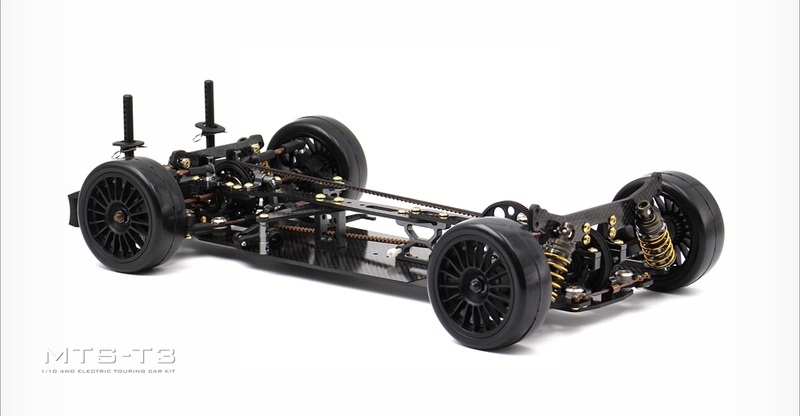 The key structural parts of T3 are all metal parts, which areprocessed by CNC of 6061T6 aluminium alloy to ensure the accuracy and stabilityof the frame structure. 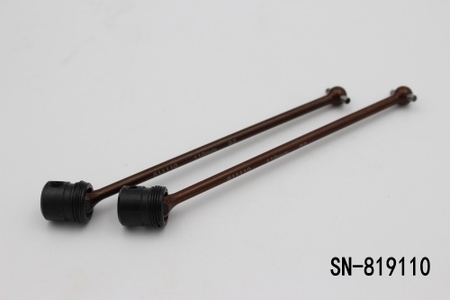 All CVD shaft,universal shaft, camber link, front and rear spool outdrive, anti-roll bar aremade of spring steel material with better strength and bend self-healingfunction. 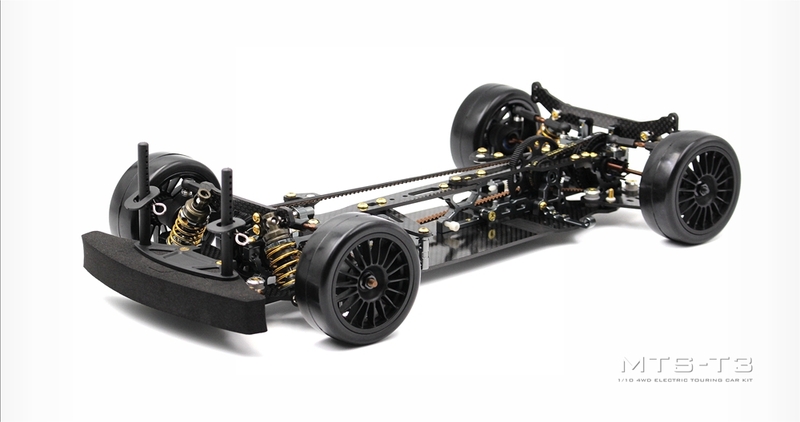 All carbon partssuch as chassis, 2nd desk, suspension arm front and rear tower …etcare made of the top grade T700 carbon graphite material with the best strengthand lifetime. Besides, all screw holes, slot on the chassis are designedsymmetrical at center to make sure the left/right traction rolling is the same.